February in our region can bring a wide range of weather, ranging from cool, sunny and fair, to blustery and full of snow. 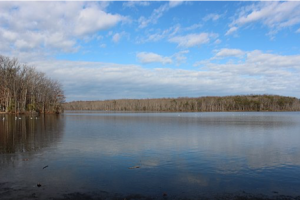 Whatever the weather may bring Fairfax County Parks always have something planned to get you out of the house and into some fun experiences. Coming up in February several parks are offering a variety events worth checking out; there’s something for everyone in Fairfax County. Green Spring Gardens is offering the chance to create something unique for that special someone this Valentine’s Day. Instead of just flowers, you can make your own topiary floral design and give a bit of creative inspiration alongside your beautiful blooms at the February 9th Floral Design Workshop. Experience a Winter Waterfowl Hike at Riverbend Park on February 22nd, as you take a guided hike in search of winter birds along the Potomac River. Discover the incredible avian species which flock to Fairfax County to weather out the winter; bring your binoculars and see how many different birds you can spot. Get out for a family adventure on February 23rd with a day of Orienteering– the original way- without a GPS. Head over to Burke Lake Park with kids aged 8 and up for a fun day of exploration using a compass, map and your own wits. This is an excellent idea for quality family time, or to spend time with friends while you unplug for a while. There’s nothing like a campfire to bring family and friends together, so why wait until summer? Head over to Ellanor C. Lawrence Park for the To Build a Campfire Program on February 24th. 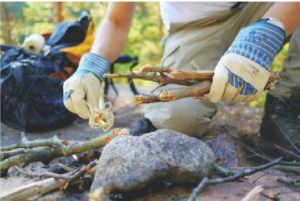 Learn some great tricks and new skills to build an ideal campfire, and then some. Ever try to start a fire with a fire bow? This is your chance to try! When the fires are lit, s’mores will be roasting to top off the evening. Who doesn’t love maple syrup? Now’s the season for the trees to give up their tasty treat, and you can experience this one-of-a-kind, natural crop at its freshest. Colvin Run Mill will play host to the Maple Syrup Boil Down February 10th, 23rd and March 3rd. Bundle up and taste the sweet sensation of fresh maple syrup! You can find more details including registration information and costs, if any, for these and other incredible offerings from Fairfax County Parks at the Park Authority Website; don’t let cabin fever take over, explore and experience the beauty and wonder of winter at our parks. If you’re ready to move to McLean or another Beltway community, work with a local, experienced realty team. Alex Pachedzhiev and Mary Anthony love where they live and are ready to help you discover the right community and home for you. Learn more at Keller Williams Beltway Homes, then contact us directly by phone (703) 495-3283, or email at alex@beltwayhomes.net, to get the conversation started.